There is a common saying that goes around this college town. It’s been voiced in local meetings, retold during casual conversations, and posted by at least one resident on the town’s Facebook page. 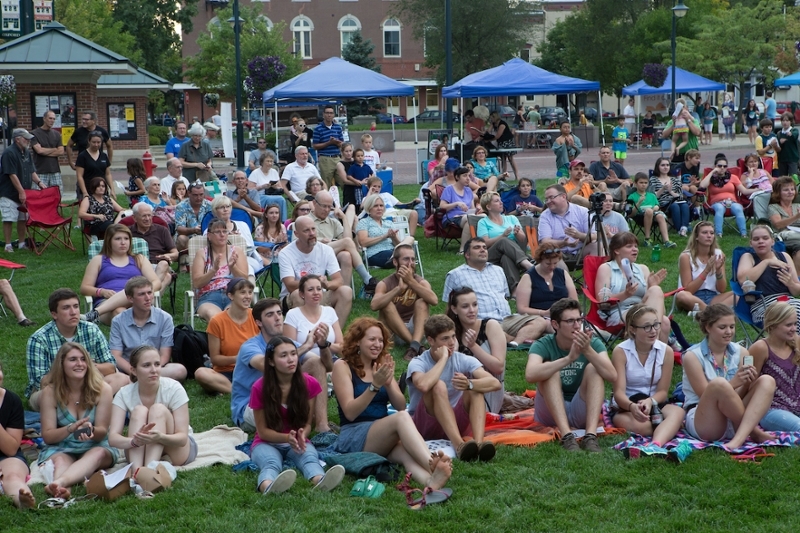 “Even our mayor says, ‘The two best days of the year in Oxford are when the students arrive and the day the students leave,’” says Jessica Greene, Executive Director of Enjoy Oxford. Home to Miami University, Oxford, Ohio, carries the same range of feelings harbored by those in college towns everywhere. In one breath, both excitement and exasperation are acknowledged and expressed. It’s a relationship that means experiencing a vibrant and lively campus culture, while also living alongside raucous crowds of noisy students who, sometimes, forget that they too are part of a real community. Living in close proximity, economically intertwined, each affected by the actions of the other. To varying degrees, these factors are present in all college towns, which is why another analogy often used is that of a marriage. There are ups and there are downs, and the harmonious or contentious nature of the general milieu usually depends on the effort each party is willing to put in. But here, in Oxford at least, the municipality should be accustomed to such a union by now. 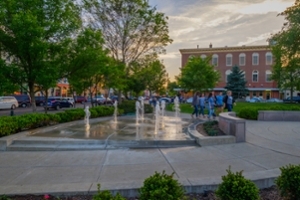 Here, unlike most other communities, the town itself occupies a rather unique stature among college towns. Here, students have undergone their bi-annual migration for over 200 years. In fact, this is the only reason Oxford, Ohio, even exists at all. Miami University was chartered in 1809 and then, in 1810, the village of Oxford was plotted to house this new academy. So in a very fundamental way, there is no separating the two. Today, the influx of approximately 18,000 students every fall can certainly seem jarring to some of the nearly 7,000 permanent residents, especially to those who only anticipate the worst. But as for these students themselves -- aside from a few high profile examples of bad behavior -- the vast majority do far more good. This town and its university have grown together for, literally, centuries. And it’s a relationship that’s evolved into a robust and fluid dynamic that engages families, seniors, and visitors through a top ranked school district, a thriving business community, a vibrant park system, as well as a long list of social services, and more. Across this partnership, virtually all parts of the university impact the town in some way, and vice versa. And as both mayor and as Miami faculty, Rousmaniere is in a unique position to see both sides. The university personnel who live here obviously traverse freely between the town and the campus, as do legions of students who provide a critical boost to the local economy. But another side of this same story is also about those students who hope to make a positive impact. It is true. The actions of those who are passionate about serving, contributing, and giving back to their community are not acknowledged nearly as often as the behaviors of their more rambunctious counterparts. Arts and science students, for example, recently created conceptual plans for a forthcoming Amtrak station and the new Recreational Trail that will encircle the city. This past summer, engineering students designed a solar powered watering system for a new community garden. 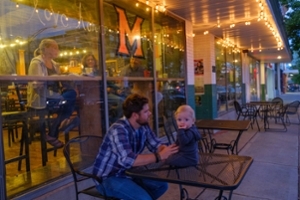 Business school students regularly conduct practicum studies to evaluate local shops. And every year, others also volunteer for programs and activities such as Adopt-A-School, Big Brothers Big Sisters, the United Way, the Senior Center, and the Greek Spring Clean. Many more examples exist campus-wide. But of Miami’s five divisions, perhaps the most heavily involved is the College to Education, Health and Society (EHS), which explicitly champions local community engagement as part of its core vision. EHS strives to instill an enduring respect for social responsibility and community engagement within a diverse body of students who seek knowledge and experience across a range of disciplines. Here, those studying to become future educators, social workers, public health professionals, and more, all have an opportunity to get involved, to make a difference, and to improve the lives of others. Examples of how their university experience spreads out into the community are abundant and varied, and the Oxford Family Resource Center (OFRC), for one, would agree. The OFRC provides economic, employment, and educational assistance to families in need and it regularly attracts EHS family science and social work majors who intern for the agency. And it’s a significant commitment. 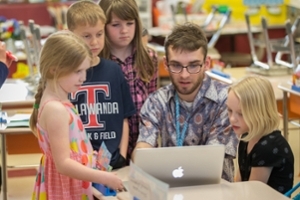 In addition to the coursework where they learn interview techniques, listening skills, and conflict resolution management, each student puts in approximately 400 hours of service. Simply put, “We could not do what we do without these students,” Thompson stresses, and she is not alone. The Oxford Community Choice Pantry also regularly works with EHS nutrition students, who encourage and facilitate healthier eating habits among visitors. Since the pantry relies on donations, which often include a buffet of random items, these students bring many valuable and practical skills to the table. Of course, students will stock shelves, mop floors, and clean refrigerators too. But it’s their knowledge and initiative that is truly beneficial, and for many EHS students this quality also extends far beyond the realm of social service alone. Public health students from the kinesiology and health department have also researched possible bike lane locations and then appealed to city council to make their proposals a reality. From the department of educational psychology, clinical faculty Ashley Johnson and her disability studies students have been a driving force behind numerous accessibility enhancements all across town. And that aforementioned community garden with the solar powered watering system? It, too, was only made possible by the work of Beth Miller, assistant professor of nutrition and dietetics, who worked with EHS students to conceptualize and manage the project. In each of these scenarios, students gain experience and the town gains services, resources, and even new amenities. So the partnerships go both ways and they exist at multiple levels. But perhaps the most significant university-town partnership of all, the one that benefits the largest number of Oxford residents, exists between Miami University and the Talawanda School district. The most obvious of which comes from Miami’s department of teacher education, where Talawanda gains access to a vast pool of education students who freely offer teaching services to the district and who, in turn, gain actual classroom experience in the process. But this example, while considerable, still barely scratches the surface. Miami’s fine arts department as well as the English and various science and engineering departments are also involved. Both Talawanda and Miami also share facilities and speaking engagements, and the provost’s office regularly sets aside money for collaborations such as professional development workshops. Elementary school children are also invited to the university during Science Week. And then there’s STEM Camp and the Coding Club, which Miami students also teach, and on and on. “There are so many programs I am unsure if I could name them all,” Morrish says. The expansive range of resources present here are often unavailable in many other communities. But they do exist in Oxford, and it’s because of the unique ecosystem that has always been home to both campus and community. But because it has become such an ingrained part of the cultural fabric, some of these advantages can easily be taken for granted. In a way, it’s the perceptual equivalent of going “nose-blind” to the wealth cooperative reciprocity that’s always omnipresent, but sometimes entirely unnoticed. Usually, it’s work that happens quietly in the background. But for those who take a moment to consider all the benefits that these dedicated organizations bring to one another, the evidence is all around.